We are a family run and locally owned business. Our ultimate concern in addition to eliminating a pest problem is a customers family, children, pets and environment. 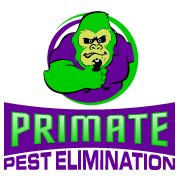 Primate Pest Elimination is the best choice for pest control or exterminator in Southern California or the Greater Los Angeles area.